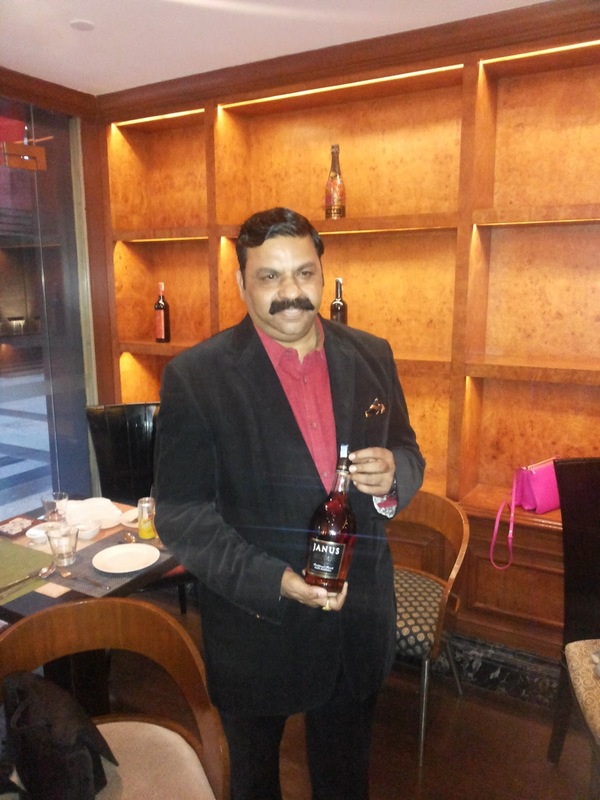 India's leading wine company - Sula Vineyards, announced the launch of JANUS – India’s first 100% premium grape brandy. The brandy is available in only seven states and the company plans Pan India by end of 2016. The brandy which is first of its kind in India has about 43.8% alcohol. This will be available in Goa, followed by Daman, Pondicherry, Karnataka,and Andhra Pradesh, in a league of its own. It is the country’s first 100 per cent premium grape brandy — and after tasting it, I must say it can claim to be the cognac of Indian brandies. It has a very cognac-like sensual nose and the finish is smooth, and although it is very young, which is why it doesn’t have the depth of flavours and the rich hues of a great cognac, it comes with the promise of being here for the long haul. Deriving its name from the ancient Roman deity with two faces, JANUS embodies the exceptional French cognac making heritage and the expertise of Sula in selecting the best Indian grapes. JANUS is made from carefully selected grapes from the best Indian vineyards which are then double distilled in small batches using traditional French alembic pot stills, to produce a liquor of exceptional smoothness and character. Yogesh Mathur, VP Manufacturing, Artisan Spirits Pvt Ltd said, “With this launch Sula takes its first step into the world of spirits with a superbly crafted high end offering. We are confident that JANUS will win accolades and significantly raise the bar for brandy making in India. JANUS is India‘s first handcrafted cognac - style brandy for connoisseurs - from the House of Sula”. JANUS makes use of Three table grape varieties — Bangalore Blue, Bangalore Purple and Thompson Seedless — that for many years went into the making of sparkling wines produced in India, are used to make Janus. It comes in premium packaging with a bottle design inspired from the Mid-19th century, a style known as ‘standard fifth’ or ‘lettered brandy’ with embossing. The bottle’s slender design, broad masculine shoulders and long neck makes it stand apart. JANUS will be available initially in two SKUs of 750 ml and 180 ml at Rs 1999 and Rs 599 respectively across all leading outlets in Karnataka. It is manufactured by Artisan Spirits, 100% subsidiary of Sula Vineyards.